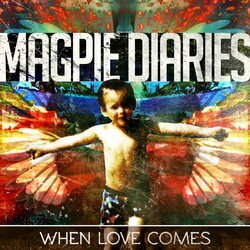 'When Love Comes', typifies the laid back sound and wry poetry of writer Magpie Johnston's music. This song floats between an up-beat alt country sound into more of a pseudo-pop production sound. The track was recorded with Matt Sherrod, and there's definitely an ear worm in there.. you should check out the video for it, which features speed dating dogs.